I wasn’t sure how to approach this assignment at first. I’m a seasoned firefighting and search-and-rescue (SAR) pilot with 26 years of mission experience, but most of my firefighting work has been in light helicopters and Bell mediums. Before this story, I had never flown a Black Hawk — but then, neither have many other pilots in the aerial firefighting world. So I decided to just tell it like I experienced it for the benefit of anyone else who may be new to the aircraft. My task was to travel to the Sikorsky Training Academy (STA) in Stuart, Florida, to fly the S-70i Black Hawk for evaluation as a firefighting aircraft. 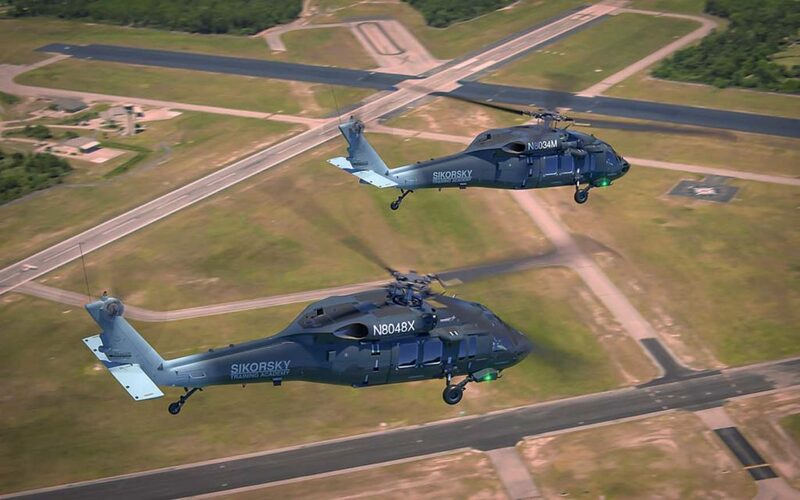 Sikorsky, now a Lockheed Martin company, is marketing the S-70i as a next-generation, multi-mission capable Firehawk, although they’re leaving the task of outfitting it for firefighting to third-party vendors like United Rotorcraft. 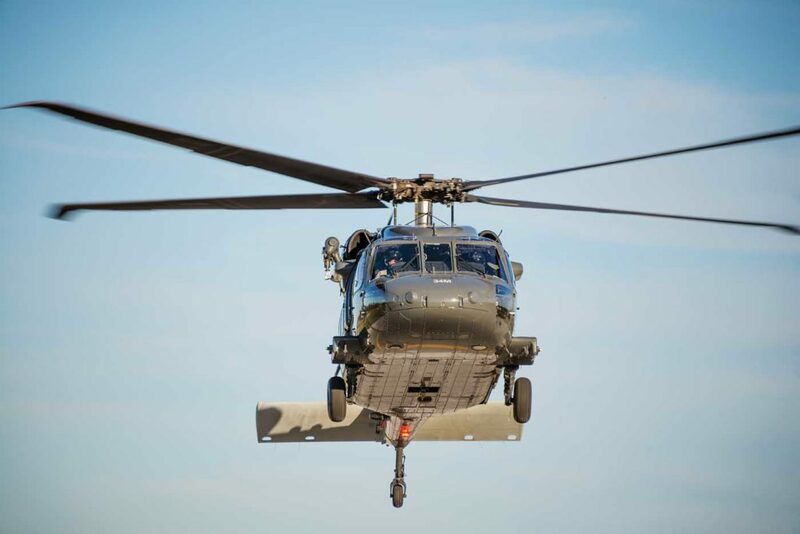 The Firehawk’s marketing strength is based on the Black Hawk’s over 14 million flight hours and proven safety record, Sikorsky’s established support system for the model, and an infusion of upgrades and design changes to the avionics, engines, and main rotor blades. Sikorsky hopes to convince customers that the advanced technology and automation in the S-70i make it a more capable, cost-effective replacement for many of the aircraft that are currently being used for firefighting, including Bell medium helicopters like the ones that I fly. The S-70i shares DNA with all of its ancestors in the UH-60/S-70 series, which dates back to the early 1980s. The new-generation S-70i is basically the same aircraft as the UH-60M that Sikorsky produces for the U.S. military (and the S-70M it sells to international military customers), with some minor differences in customer-specific equipment, including a simplified engine inlet and exhaust design, and a radio package that is more suited to civilian needs. Earlier versions of the aircraft have already proven themselves as capable emergency medical services (EMS), SAR, firefighting, and troop-carrying platforms with both military and public use operators, notably the L.A. County Fire Department. Sikorsky claims that the improvements in the latest S-70i variant will make it better at all of those missions while also easier on pilot workload. The S-70i has a maximum gross weight with external load of 23,500 pounds (10,660 kilograms), a 9,000-lb (4,080 kg) hook capacity, and hover-out-of-ground-effect (HOGE) gross weight of 18,000 lb. (8,165 kg) at 11,000 feet density altitude. With the basic empty weight of a tank-equipped S-70i likely in the neighborhood of 15,000 lb. (6,800 kg), that will leave plenty on the table for pilots, fuel, and water in the tank. 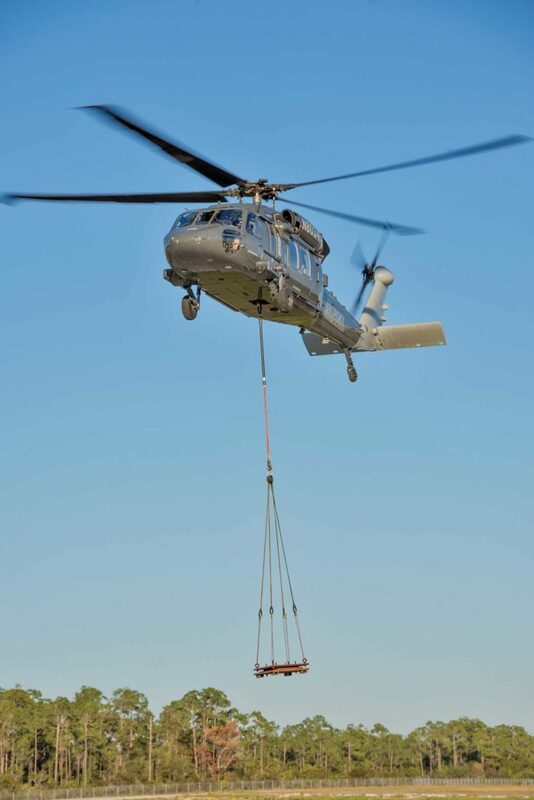 Compared to the S-70A models currently being operated by L.A. County, Sikorsky claims an increase in payload of 850 lb. (385 kg), gains attributable to both the higher available torque from the new GE-T701D engines, and the increase in efficiency of the i model’s wide-chord blades, which use slightly less power to carry the same load as the old A and L model blades. Currently, the aircraft is instrument flight rules (IFR) capable but not certified. 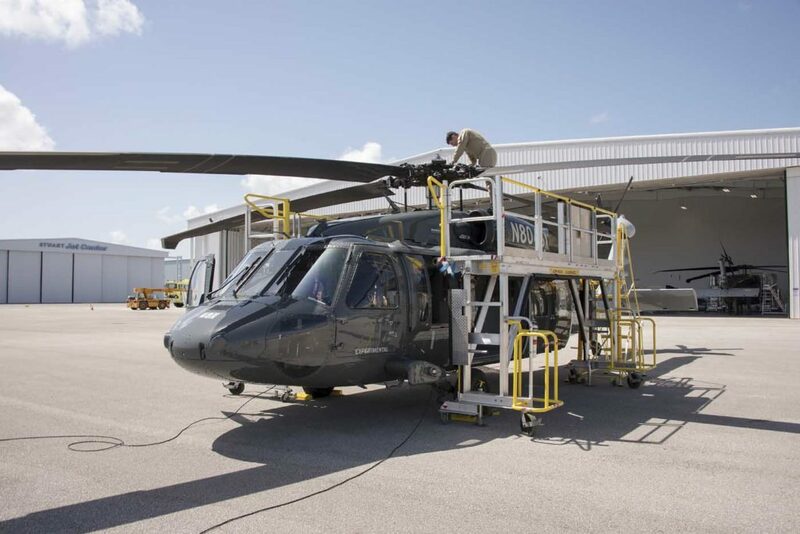 The blade de-icing system on the UH-60M has been removed on the S-70i for a weight saving of around 200 lb. (90 kg), but it can be added back on as an option. The aircraft is night vision goggle (NVG)-compatible, with a fully integrated Sikorsky avionics suite, including four Rockwell Collins interchangeable multi-function displays, dual CMC flight management systems (FMSs), and dual Korry flight directors with four-axis auto-flight and hover hold capability — a useful feature for SAR missions. 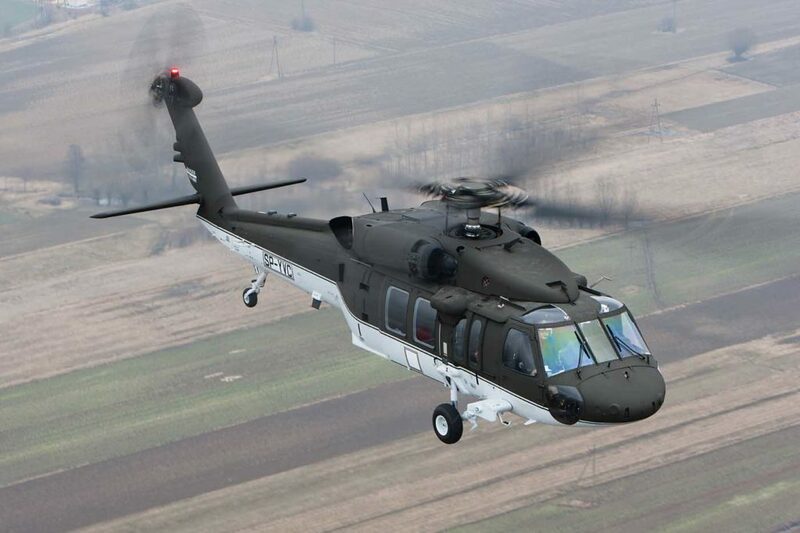 The aircraft also has an integrated vehicle health monitoring system, active vibration control system, and Sandel helicopter terrain awareness and warning system (HTAWS). 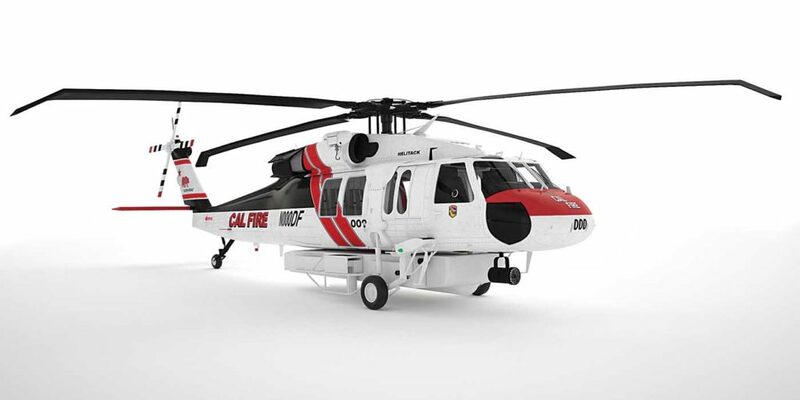 Meanwhile, United Rotorcraft, which recently secured a contract to supply up to a dozen new S-70i helicopters to Cal Fire, is working on a completion package to outfit the aircraft for firefighting. 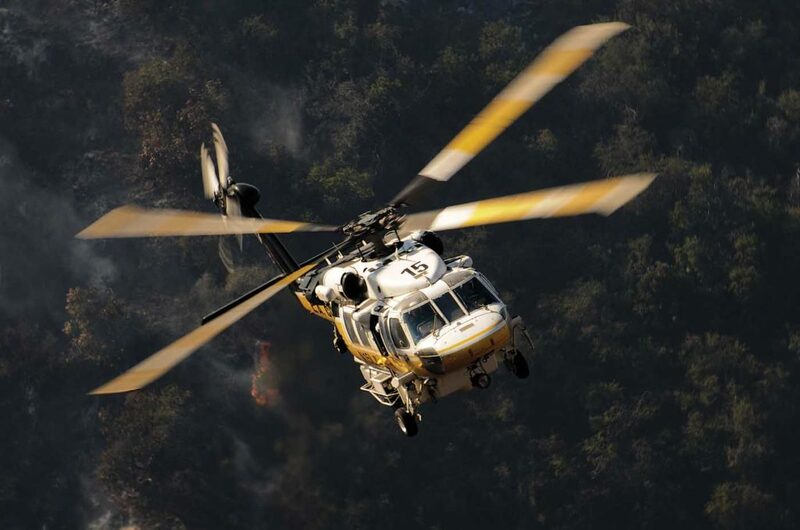 United Rotorcraft is now in the process of working with Sikorsky, Cal Fire, and other S-70i customers to design a customized avionics suite and equipment control system for the firefighting mission. Because modifying the existing integrated avionics would be cost-prohibitive, that system will stay largely intact. However, United Rotorcraft plans to replace the existing intercom system (ICS) with a Becker audio system, and is also working on a solution to make the aircraft ADS-B capable. The Cal Fire aircraft will also feature an Axnes wireless ICS, Churchill Navigation augmented reality mapping system, Air Comm environmental control system, Goodrich external rescue hoist, and interior seating for up to 14 passengers for the transport of fire crews. Extended landing gear will be installed to accommodate a new-design, 1,000-gallon (3,785-liter) Kawak Aviation firefighting tank with retractable snorkel. Cal Fire has also requested a cargo hook and left-side bubble window to facilitate water bucket operations. I would not have any of this mission equipment on the S-70i that I would be flying, but that was OK: in reality, you don’t need to snorkel and drop water to evaluate an aircraft’s suitability for doing so. There are a lot of other factors — including performance, handling qualities, cockpit layout, and visibility, to name a few — that can make it or break it in that role. My first stop was Flight Safety International’s (FSI’s) facility in West Palm Beach, Florida, which conducts S-70i simulator training for Sikorsky’s students. There, I was greeted by Jeanette Eaton, Sikorsky’s regional vice president, U.S. and Canada; Keith Little with Lockheed Martin communications; and FSI S070A/L/M program manager and flight instructor Dave Prewitt, who would be introducing me to the aircraft. FSI conducts initial training on the S-70i cockpit layout, “switchology,” and systems using a graphical flight-deck simulator: an arrangement of touchscreen panels with visuals representing the actual cockpit. Pop-up graphics and systems diagrams correlate with the switches and buttons being touched, helping students understand what’s happening behind the scenes. It’s a convenient, efficient way to get oriented to the aircraft, for a fraction of the cost of using the full-motion Level D simulator (or, for that matter, the actual helicopter). The full-motion Level D simulator is certainly impressive, though. After a safety briefing, we strapped in for a flight, starting with a pick up to a hover and a few traffic patterns back to a hover and set down. Once I got a feel for the sim, Prewitt transported us to an L.A. County Fire helibase, where we lifted off and headed into the surrounding hills to practice some typical mission scenarios, including responding to a small fire and the crash of a light plane. It was easy to work in this familiar environment due to the sim’s very high quality graphics and movement. Conditions such as lower light angles, smog, and brownout were introduced to make pilot workload as close to the real deal as possible, minus the smell of smoke. We made a scene landing at an impromptu marked helispot near the crash site, and had full functionality of the landing/searchlight to help with the brownout. Even the rotorwash was accurately portrayed on the bushes, trees and grass as we landed. The landing was a bit rough — my fault, as it takes a while to get used to the control reactions of the sim. We then did a confined area takeoff and moved on to fight a ground fire, setting up for water drops as if we had the tank installed. Targeting 70 feet on the radar altimeter and 70 knots of ground speed, we made several passes and I found myself making water-dropping noises, really enjoying the experience. After that, we headed to San Bernardino International Airport for a couple of visual approaches to the 10,000-foot runway, and some unlocked-tailwheel taxi practice on the tanker base ramp. While en route, I practiced using the auto-flight, inputting various flight director commands for heading, altitude, and airspeed changes. On our second visual approach to the runway, I used the flight director to step down to the aim point and then engaged the hover hold, which kept us at 50 feet stationary over the runway. Pushing the go-around button at that point had the aircraft do an altitude-over-airspeed departure to a selected altitude. Prewitt also vectored me for a back course localizer approach in instrument conditions. Using the large flight director input knobs, it was easy to intercept the course, at which point the auto-flight captured the approach and took over, bringing us down to the minimum descent altitude. After doing a go-around, Prewitt restored the blue skies and I did a bit more hands-on flying at low level in the mountains to the north before our time was up. Forty miles north of West Palm Beach is the city of Stuart. Once home to Grumman Aircraft facilities, KSUA is now the location of the new Sikorsky Training Academy, which boasts extensive classroom facilities, a 24,000-square-foot flight operations hangar, and a 2,500-square foot maintenance training bay. These accommodate a full spectrum of flight and maintenance training for Sikorsky customers, many of whom are international. The academy has two S-70i flight training aircraft, which are certificated by the Federal Aviation Administration (FAA) in the experimental category for both research-and-development and market survey purposes. That allowed me to fly with STA chief pilot Joe Stoney as a zero-Black Hawk-time pilot (the aircraft normally requires a minimum flight crew of two). After I received a tour of the facility, Stoney and I mapped out a plan for my one-hour demo flight and went through a safety briefing. We were ready to go fly. 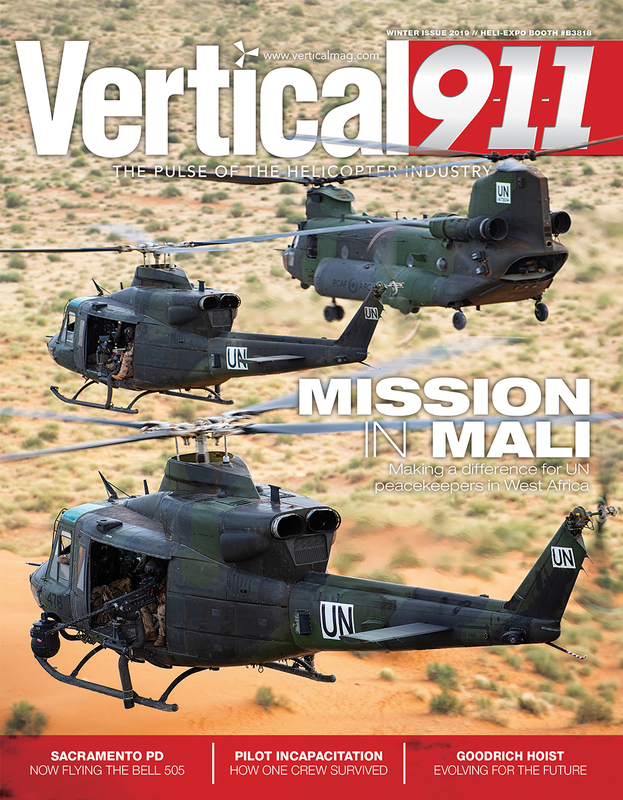 Approaching the aircraft, its four wide-chord, all-composite main rotor blades — with noticeably swept and downwardly angled tips — made the helicopter look like it was eager to go to work. Before entering the cockpit, the front seats get set by an indexed slide lever to tune the crash attenuation of the seat to the weight of the occupant. I set mine to 190 pounds, which was closest to my weight, then climbed in the right side. The cockpit is wide. I had to crane my neck around to be able to read the overhead and some lower panel switches. Comfort with this cockpit layout will require a lot more “in seat” time than in most of the light and medium aircraft I’ve flown. No question about it, this is a sophisticated and complex machine that is not to be approached haphazardly. Stoney had me run the checklist in standard challenge-and-response fashion, while he pointed to and explained each switch and process. 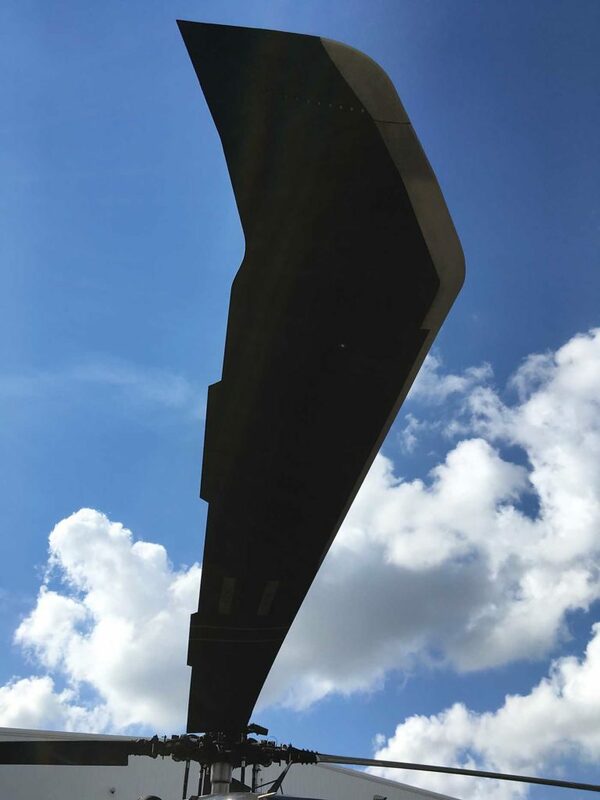 From the pre-power-up checks, we moved through power-up and auxiliary power unit (APU) start, to checks for the control systems, stabilator, avionics, and EGIs (embedded global inertials, or attitude and heading and reference systems to civilians). Then we accomplished starts for both engines (using bleed air from the APU), went through run-up and systems checks, and pre-set frequencies in the FMSs, before finally contacting the tower. Altogether, the start-up process for this instructional flight took around 20 minutes. Stoney said that the first start-up of the day, from getting in the cockpit to lifting off, usually takes eight to 12 minutes. To me, that’s a long time when you’re on initial attack (IA) for a fire. However, if the aircraft is readied for IA by completing all required checks with just the APU running, and then shutting down, the cockpit can be “set” for a quicker response time of around two to four minutes to lift off. Stoney graciously let me have the controls for the whole flight, so we went to work right away with a roll taxi into position on the non-movement area, followed by a liftoff and air taxi to a grass practice area in the middle of the airfield. At 15,405 lb. (6,988 kg), the aircraft was far from its maximum takeoff gross weight of 22,000 lb. (9,979 kg), and I could see that it had power margins we would not be able to fully utilize under our mild sea level conditions. Health indication test (HIT) checks were then taken on each engine, calculated, and logged from within an integrated cockpit display. Maneuvers began with some vertical set-downs and lift-offs to a 10-foot hover to get used to the sequence of contact points — tail wheel, left wheel, right wheel, weight on wheels (called out by a crew chief) — and hover attitude sight picture. I’m 5’9″, and I found that landing on a tailwheel with a very high nose-up attitude took some wiggling in the seat to keep a clear view ahead. We moved on to some pedal turns and turns around the tail. The wind was 15 knots gusting to 19 that afternoon, but there was no problem with controlling the broadside weathercocking; it had authority to spare. 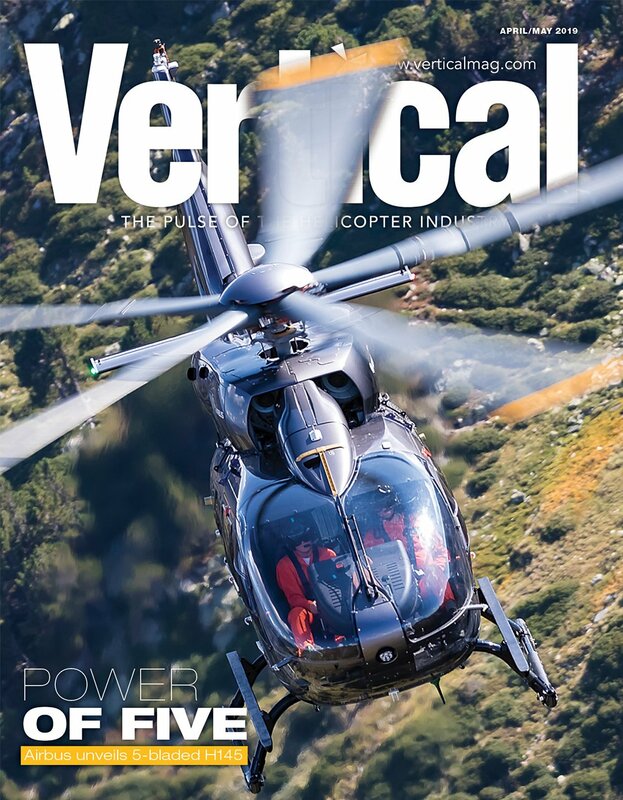 Though the aircraft has been tested to military standards, there isn’t really an apples-to-apples comparison to a similar FAA part 29 certified aircraft in regards to tail rotor authority. 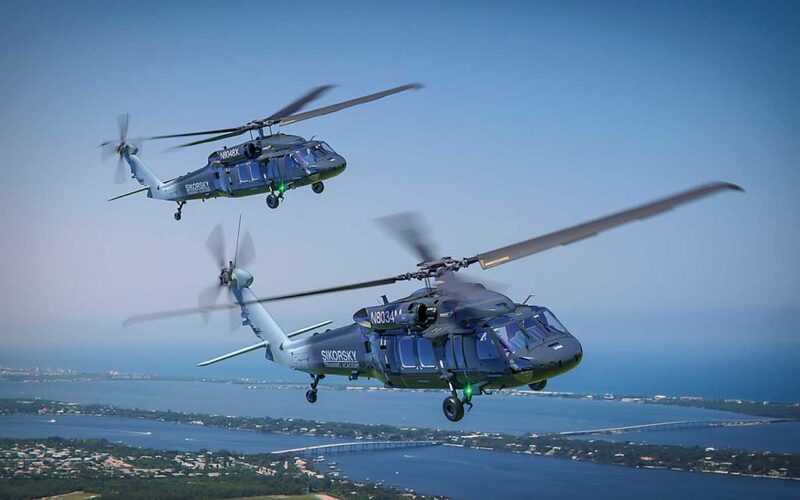 Sikorsky says that under most HOGE conditions the crosswind authority has been demonstrated to 45 knots, which is far above the standards defined in part 29. Anyway, it has back! Pattern work included normal takeoffs, both rolling and from a hover; rolling landings to the runway, both normal and single-engine; stabilator failure in cruise to a landing; full primary hydraulic assist and stability augmentation system failure in cruise followed by an approach to hover and landing; and an autorotation. Stoney also gave me a demonstration of auto-flight coupling to recover from an unusual attitude, which is as easy as plunging the auto-flight engagement control on the cyclic and letting the aircraft right itself and climb to a preset altitude. I then flew the flight director, selecting headings, airspeeds, and altitudes to line up on a runway and bring it down to a hover-hold. By then our time was up, so we air-taxied back to the hangar apron and proceeded with the shutdown checklist. Stoney said a shutdown normally takes around three to five minutes depending on installed equipment, but until a pilot is familiar with the process, it can take longer. The APU must be started first in order to power the large amount of current-hungry avionics and airframe systems when the generators are taken offline, and in case there is a need to motor the engines after shutdown. After eight minutes, we were ready to unbuckle and head to the debrief. The S-70i is highly responsive and maneuverable; confidence-inspiring and manageable under the minor failure modes I was given. I would describe its handling qualities as like a very large Bell 407 equipped with wheels, in that it responds predictably without surprises and one can quickly adapt to its manual flying characteristics. At first this aircraft can be a bit overwhelming to an uninitiated pilot. For example, getting proficient at finding information on the primary flight display (PFD) and nav display takes a bit of time, which is why significant simulator and classroom time is necessary. Syllabi for the S-70i, currently a combination of FSI and STA training, call for 29 days of ground school, sim and flight training for a pilot with no previous Black Hawk experience, and a total of 20 days for pilots who already have S-70 or UH-60 experience. With the high standards of FSI and STA training, however, pilots who complete the regimen should be able to operate the aircraft with confidence. In the standard S-70i, flight plans, waypoints, nav/comm radio tuning, and transponder setting can only be accessed through the FMSs and entered via keypad, although more complex mission plans can be uploaded to the system with a programed data card. The FMS displays are a bit cluttered and monochromatic, so on-the-fly frequency entries may be difficult and time-consuming until one is familiar with the keypad protocol. If you are used to flying FMSs in jets this may come easily, but to a pilot flying in a fire environment — where eyes need to look outside more than inside — it may be difficult as a single pilot, though fine in a two-pilot crew. 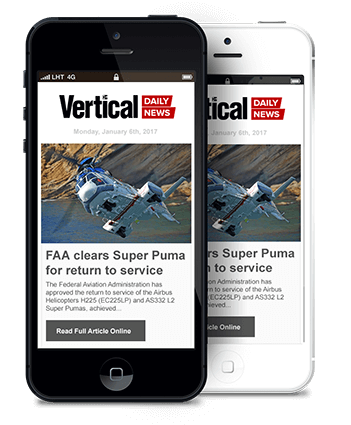 United Rotorcraft’s radio package may offer a more conventional interface. The display screens are abundant and functionally interchangeable, making it possible to safely dispatch with screens inoperative. Do you want the PFD displayed on an inboard screen and the engine/airframe parameters displayed directly in front of you? Just toggle it to the display you want. From the initial attack firefighting perspective, the capabilities of the system far exceed what we are used to having at our disposal. 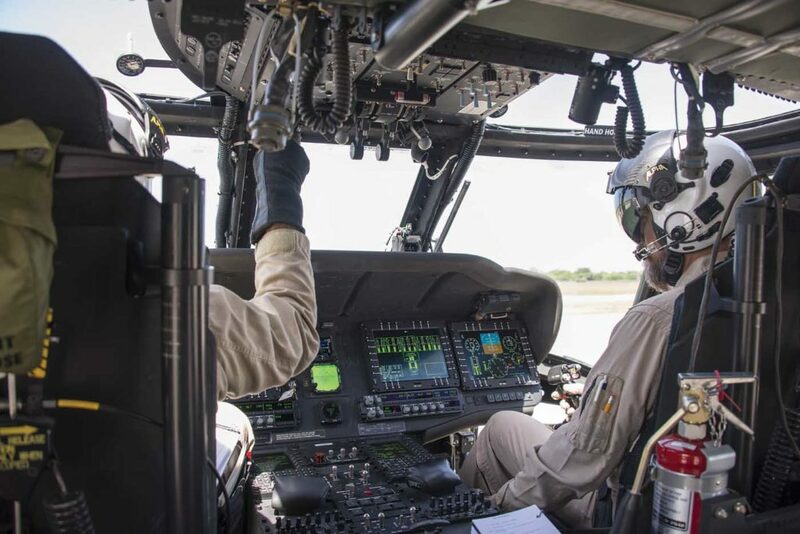 Combined with the aircraft’s automation, these capabilities can be very powerful tools when properly employed on missions like SAR in the mountains, over water, or at night, both to ease pilot workload and maintain precise control. 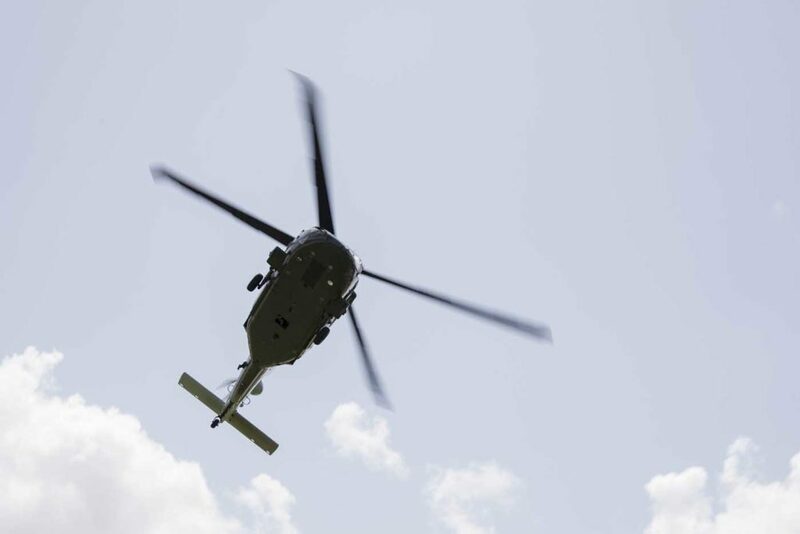 Another fantastic feature from an IA/SAR point of view is the S-70i’s integrated health monitoring system, which could give operators a significant advantage in maximizing dispatchability while minimizing down-time and maintenance costs. Data can be quickly downloaded via removable media after each flight for accurate diagnostics and early problem detection, enabling preventive maintenance measures to be taken before any catastrophic failures can occur. The crashworthiness of the aircraft shouldn’t be overlooked, either. Even the original UH-60A Black Hawk was designed with crash safety features that far exceeded those in the Bell UH-1 it replaced. 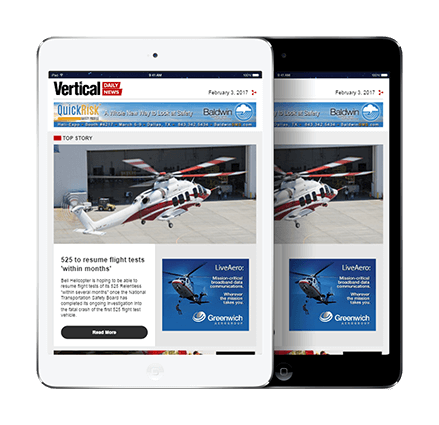 Given that 1960s-era Bell UH-1 and 205 helicopters still form the backbone of the medium firefighting fleet in the United States, the S-70i represents several quantum leaps forward in safety and technology from what’s flying today (see sidebar). At a base price of around US$15 million before modifications, these capabilities won’t come cheaply. However, with wildfires growing larger and more destructive every year — and the need for more capable rescue aircraft to deal with the aftermath of these and other disasters — the S-70i could be exactly what’s needed to counter this growing threat. No doubt at all, the Firehawks will be the predilection tool for fire fighting operations in North America. Loved working on them in Saudi Arabia. We had 2010 models that were # 2, 3, and # 4 off the Polish assembly line.